- There is a $35 annual registration fee per student due at the time of registration. This fee is non-refundable. - At the time of registration, first and last month's tuition will be charged to the payment method you have stored. For 2019-2020, at the time of registration, you will be charged tuition for the months of September 2019 and May 2020. These fees must be paid through your online Jack Rabbit account in order to secure your placement in desired classes. - In the event that you need to withdrawal from the studio, we require parents/guardians give a thirty (30) day written notice to discontinue classes. Please use a "Withdrawal" form available online. You understand that it will not be sufficient notice to merely tell an instructor or supervisor or e-mail or leave a voice-mail of your intent to discontinue. This is so we can invite the next child on the waiting list to join the class the following month. Your withdrawal is not considered complete until you have received confirmation via email. - Tuition is an Annual amount that is automatically drafted via monthly installments the fifth day of each month. Tuition is automatically drafted from the payment method you have stored in your online Jack Rabbit account. A $20 late fee will be added to all Annual tuition installment payments not paid by the 10th of each month. If payment is not paid by the 1st of the following month, that class spot may be given to the next child on the waiting list. - Tuition is posted on the first day of each month and a general email reminder is sent to all families as a reminder that tuition has been posted and is soon to be charged. On the fifth day of the month, tuition payments will run and your tuition will be charged to the payment method you have stored to your online Jack Rabbit account. Log into your online Jack Rabbit account to check your schedule and view transactions regularly. - Tuition is not prorated for absences, holidays or partial months. It is an Annual tuition. - The Tolbert Yilmaz School of Dance will only send statements via email to delinquent or problem accounts. - Accounts that are not reconciled by the 1st of the following month will result in the student(s) being dropped from our roles. Reconciled accounts will have an opportunity to re-enroll in classes; however the desire to do so does not guarantee that the same class/schedule will be available. A re-enrollment fee of $20.00 will apply. - Accounts that become more than 30 days overdue will be considered grounds for collections action. - Declined credit card charges or bank drafts will be charged a $25.00 fee. Bank account and credit card information shall be current, active, and drawn on a local bank only. No out of state checking accounts will be accepted as a form of security. - We honor Visa, MasterCard, and Discover. - Please note there is a $25 fee for any returned checks. - Anyone wishing to pay for monthly tuition or fees via an alternate form of payment (other than our auto draft Jack Rabbit payment system) will incur a $15 processing fee per transaction. The $15 fee will apply each time a payment (for tuition; costumes; performance fees; etc.) is made with cash, check or by credit card at the studio. If you wish to consistently pay via an alternate payment method, the $15 processing will be built into your monthly charges. Contact admin@tysod.com if you wish to pay other than through the auto drafted Jack Rabbit system. The only exception to this is persons wishing to pay for the year in full (and receive a 5% discount on tuition). If you wish to pay for the year in full, you may do so by using an alternate payment method without the $15 processing fee. - All Annual tuition installment payments will occur within the first five days of each month and other miscellaneous charges, such as costumes, Nutcracker fees, etc. will occur on the given fee schedule for the season. - ONCE OUR CREDIT CARD AND CHECKING DRAFTS OCCUR NO REFUNDS WILL BE GIVEN. NO EXCEPTIONS. - Students are to be dropped at the front door and picked up at the rear door. Younger students may be walked in by their parents. No student should arrive more than 15 minutes before the beginning of class. Your child should be picked up directly after class. If you are late picking up your child, you will be charged a fee of $1.00 (one dollar) per each minute you are late. That fee will be added and charged to your account. All students should wear cover up over their dance clothes. - If it becomes necessary for you to drop a class or add a class, these changes must be made by completing an online submission. Go to www.tysod.com and look under Policies for Class Schedule Changes for Enrolled Students. - To add a class, you will enroll in the class through your online Jack Rabbit portal. - If you add a class, it is assumed you wish to participate in the recital for that class and you will be charged an additional costume fee. - For each class you either add or drop, you must submit a separate submission, per class. - You will receive confirmation of your change once it has been received and your account has been updated. Do not consider requested changes effective until confirmation by email has been received. - Please note that by verbally dropping; adding a class or discussing this change with instructors does not make the change official. You must submit your online request using the online drop class form and online specialty class add form to make your change effective. - Please note, Class Change Forms must be submitted by the 25th of the current month for the schedule change to be effective for the following month. Class changes will not occur mid-month and NO REFUNDS will be given for classes not attended. - If you drop one class and add another, it is considered a schedule change and no charge is incurred unless the new class is a different length of time than the class being dropped. For example, if you were taking a 45 minute class and change to a one hour class, your tuition would increase from the fee for a 45 minute class to the fee for an hour class. - If you are adding a class to your current schedule tuition will increase according to the open school fees based on total hours taken. - Tuition is an Annual fee that may be split into equal monthly installments. Additionally, if you choose to pay for a full year of tuition, a 5% discount will be given (to tuition only; not costumes or performance fees). Please email admin@tysod.com if you wish to pay for the year in full. State your indication in your email and please provide your name and contact information. - Hours taken per week are combined for all family members taking classes (non-company). For example, if Adelaide takes one ballet class and Emily takes 2 jazz classes, tuition for their family is $165 per month for a total of three hours). - Classes meet 1x each week at their specified time and date unless otherwise notified. School holidays are based on the Fulton County School System. - I hereby authorize the Tolbert Yilmaz School of Dance to charge my credit card or checking account for all services and products related to my family's enrollment in classes and activities at the Tolbert Yilmaz School of Dance, including but not limited to tuition, memberships, special events, costumes, recital fees, accessories, etc. (Note: Fees are subject to change). If Annual tuition is submitted via monthly installments I understand that my credit or debit card will continue to be charged on the monthly, session or periodic basis unless I notify the front desk by turning in a withdrawal form at the Tolbert Yilmaz School of Dance 30 days before intent to discontinue. I understand that it will not be sufficient notice to merely tell an instructor or supervisor of our intent to discontinue. Nor send an e-mail. I have read this entire agreement and understand that I will be held fully responsible for its terms and conditions of service, including a thirty (30) day written notice to the Tolbert Yilmaz School of Dance of any intent to discontinue (e-mail will not be accepted). I understand that once the monthly installments for my annual tuition have occurred there will be no refund given if I decide to discontinue. I agree to notify the Tolbert Yilmaz School of Dance, immediately of any change in the status of my charge account including but not limited to card expiration, name change, limitation of use, loss or theft or the card, etc. In the event that the amount charged is refused for whatever reason, I accept responsibility for full payment for the amount charged as well as a NSF fee of $25.00. - The annual Spring Recitals will be held at the Roswell Cultural Arts Center. This is an optional activity and requires the payment of a costume/recital fee. - The costume and recital fee is $120.00. This covers costumes, theatre rental, backdrop rental, lighting, programs, and teachers. Additional costumes will be $110.00 for the second costume and $95.00 for any additional costumes per family. This fee will be due November 18, 2019. All costume and recital fees are non-refundable. No child will receive a costume until fee is paid and tuition is current. If fee is paid after November 19, 2019 there will be a $10.00 late fee added for each costume. If paid after December 2, 2019 there will be a $20.00 late fee added for each costume. - Tuition must be paid in full with no balance pending for dancers to be issued their recital costume(s) and/or participate in the annual recital. - Open School students may audition for "The Nutcracker". The performance fee is $200.00 per child which covers all rehearsals and costume rental. - Costume fees and Performance fees are non-refundable (again: Costume Fees and Performance Fees are nonrefundable and there are no exceptions). The 2020 dress rehearsal and recital dates will be May 11-14 (dress rehearsals) and May 15-16-17 (recitals). Both events will be held at the Roswell Cultural Arts Center. Please mark your calendar now for the recital week. If you know of a particular (serious) schedule conflict, you must notify our front desk by e-mail by January 31, 2020. After that date (January 31, 2020) requests will no longer be accepted. Please note that while we try to accommodate requests, we cannot guarantee your requests. In consideration of allowing the previously declared participant(s) to begin participation in the Tolbert Yilmaz School of Dance activities, while on the premises and property of said Center, the undersigned, for themselves, and/or being the legal and acting guardian of participant, acting for themselves and on behalf of the participant, release and hold harmless the Tolbert Yilmaz School of Dance, and its owners, employees, and agents of and from any and all liability, claims, demands, and causes of action whatsoever, arising out of or related to any loss, damage, or injury, including death, that may be sustained by the participant and/or the undersigned, while in or upon the premises upon which the Tolbert Yilmaz School of Dance is conducted, or any premises under the control and supervision of the Tolbert Yilmaz School of Dance, its owners, officers, employees, or agents or in route to or from any of said premises, or while at any premises or place when activities sponsored by or participated in by the Tolbert Yilmaz School of Dance, its owners, officers, agents, or employees. The undersigned gives permission for the Tolbert Yilmaz School of Dance, owners, officers, employees, and/or agents to seek emergency medical treatment for the participant(s) in the event they are unable to reach any parent or guardian. The undersigned also agrees that they themselves will be responsible for any financial debt incurred by said action. I understand that my child's likeness may be used in the Tolbert Yilmaz School of Dance ads, promotional videos, website material, or various other marketing. 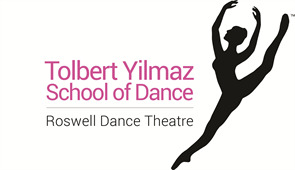 These images will be used for the Tolbert Yilmaz School of Dance purposes only, and will not be given or sold to outside companies or individuals.